It is a commonly held belief that Muslim countries have little or no connection with wine since consuming alcohol is expressly forbidden (haram) in the religion. However a country full of contrasts like Turkey never fails to surprise you and unless you are unusually well-informed, you will be amazed to find that the country has a vibrant viticulture dating back almost 9,000 years. The area of Buzbag is even thought by some to be the real birthplace of wine. Wine, of course, winds its way around the long path of human history itself; a staple panacea for common human problems. It is hardly surprising, then, that the soil of Anatolia which nurtured several civilizations and tolerated all the chaos wrought by gods and kings, also nourished grape seeds. Some civilizations, like that of the Hittites, actually protected viticulture in law, as wine was seen as a tool for society, economy and culture. Also, the Phrygians introduced wine to Greek colonists. Starting from 600 BC, Anatolian wines began to spread, eventually reaching as far as France. For this reason, some of the grape varieties in Turkey share genes with those found in other parts of the world, especially in Europe (e.g. one local grape known as “Misket” became “Uscat” in Europe). A rather epic example of this is seen in Homer’s “Iliad”, which mentions Pramnios wine, a dry wine containing high levels of tannin and alcohol, made with a grape produced originally in Urla (Klazomenai). 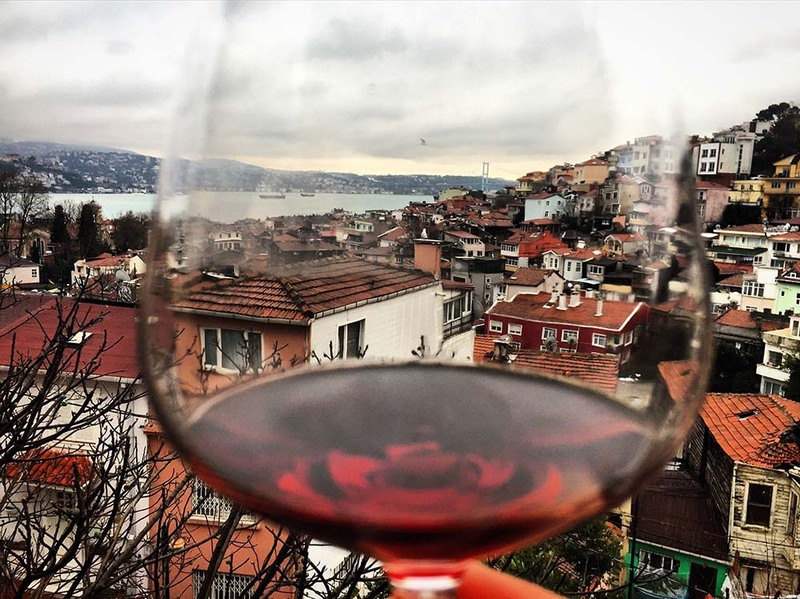 Istanbul through a glass of wine. “An Ottoman ban lasts no longer than three days”. 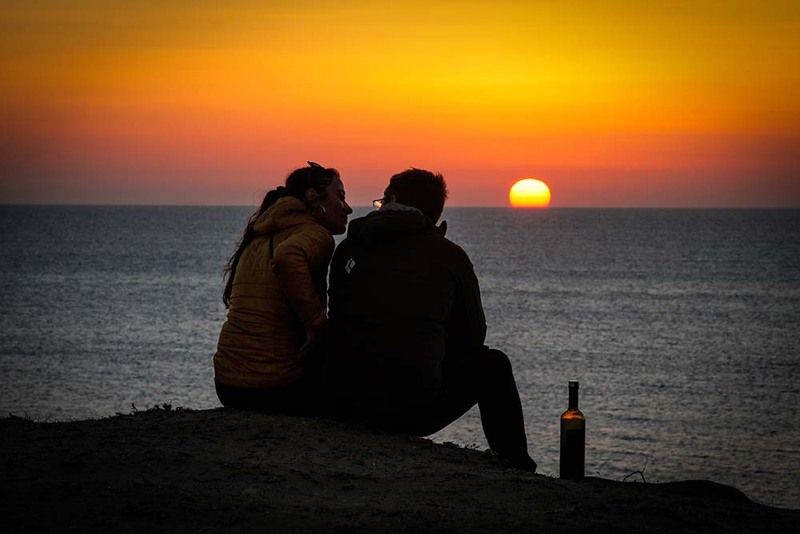 Unidentified couple enjoying wine at sunset. The Ottomans were strict but money was precious and wine generated far too much tax to be outlawed for long! In addition, at around the same time (the mid 1800s), a disease all-but wiped out the French wine industry. The door was suddenly wide open and no obstacle stood in Turkey’s way; the country had become a major player in the wine production industry by the beginning of the 19th Century. The subsequent establishment of the Turkish Republic (a secular system), ensured the continued popularity and growth of Turkish wine production in the decades to follow. 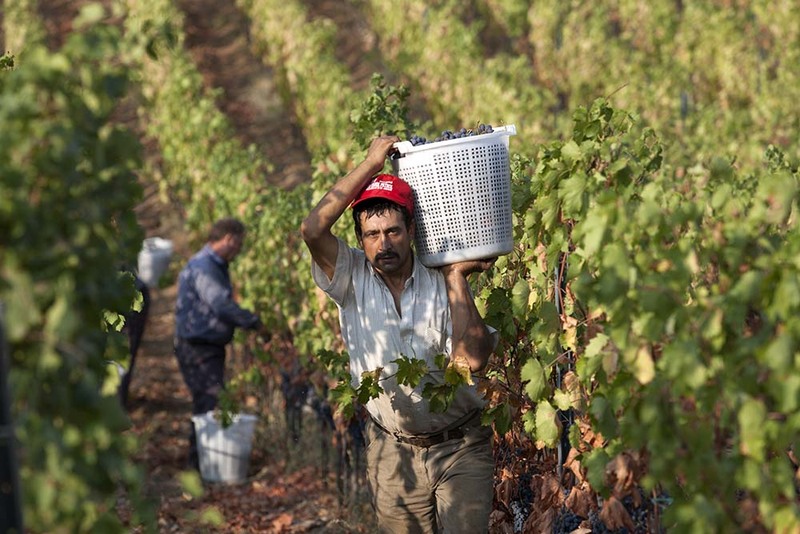 Today, Turkey is a major player in world grape production with over 800 indigenous types of grape. However, only 2% of production is used for wine. Within this 2%, five major varieties dominate: Boğazkere (“burning throat”), Emir (“order” or (“commander”), Kalecik Karası (“Black of Kalecik”), Narince (“delicate” or “naive”)and Öküzgözü (“Bull’s Eye”). 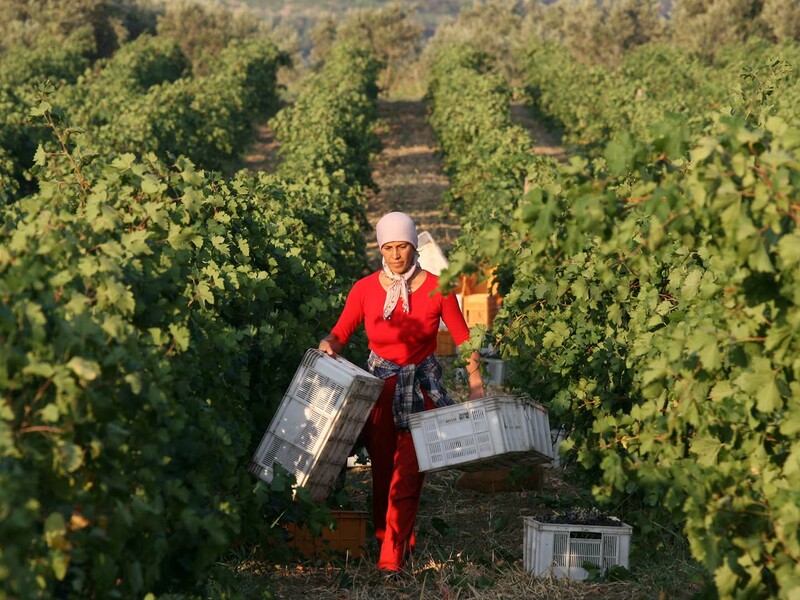 Eastern Anatolia, Cappadocia and the Aegean Regions share the highest production levels in the country. Grapes on the sun in Cappadocia valley, Turkey. Enjoying a route dedicated to wine carries with it other benefits, such as the discovery of local cuisine and historical areas which may remain otherwise unexplored. Therefore, if you want to enjoy some time off in Turkey to taste wine, my suggestion is to keep it “loose”, do not be too restricted. Let yourself feel the fruit “speaking Turkish” in its own way! 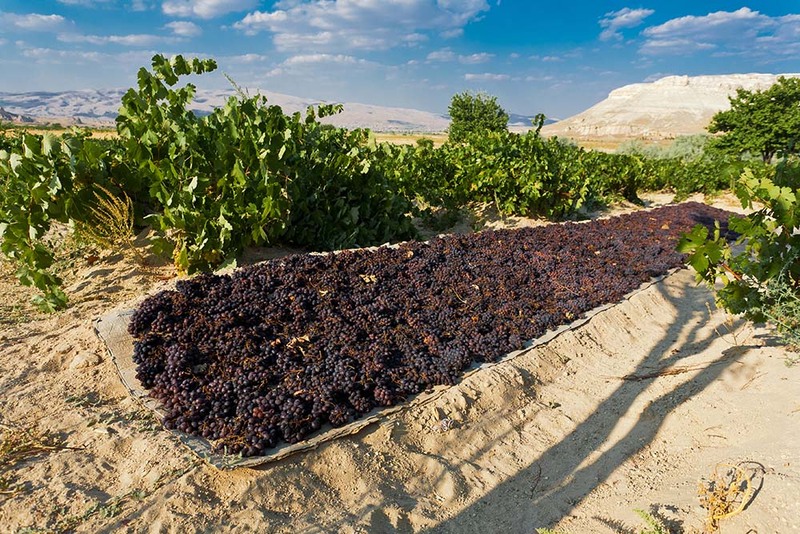 Some civilizations, like that of the Hittites, actually protected viticulture in law, as wine was seen as a tool for society, economy and culture. Thrace is favourably located just near Istanbul, the largest city of Turkey in terms of population, so it has a ready supply of tourists and visitors who visit for wine-tasting. Since the potential market is very close, there are many vineyards around this area. Bud-breaks usually occur in April, and harvest usually in October. The first recommended stop would be Çerkezköy, three hours’ drive southwest of Istanbul. Here, a family- owned company Doluca Co’s Vineyard, is thriving. You may be surprised by the size and modernity of this ancient winery as this family company is, in fact, one of the major players in world wine production. It also owns other vineyards in Gallipoli and Denizli. Leading grape varieties you can find in the Çerkezköy branch include Cinsault, Semillon, Riesling, Gamay, Sauvignon Blanc, Chardonnay, Merlot and Cabernet Sauvignon. If you have the chance, the local Boğazkere wine (a wine with dense tannins and medium acidity), is also worth trying. Mature wines here are balanced and tasty, with very diverse flavours. While spending time in Tekirdağ vineyards, it is also advisable to sample the magnificent meatballs that are produced by local farmers. Women grabbing the grapes to make wine. The next stop on this route would be Kırklareli, which is famous for both its magnificent goat cheese and tandoor cooking. The province is also blessed with many natural and historical features. İğneada; famous for its UNESCO preserved Longoz forests and the beautiful Dupnisa cave, is definitely worth a visit. Kıyıköy (a seaside village), and Cittaslow (Italian inspired “slow movement’ member), Vize district, should also be added to the route. Adakarası, Kalecik Karası, and Papaz Karası are the main indigenous varieties of grape produced here. Kalecik Karası is used mainly in a wine which has a red-rose colour and a sweet aroma. This wine is not tannin-dense. Next, it is advisable to visit Avşa, a small island in the Sea of Marmara which is very popular among tourists, especially during summer. Ferries depart daily to and from Istanbul, Tekirdağ and Bandırma. The island has a vibrant history of viticulture dating back to the 1800’s, due to its unusual climate and soil type. 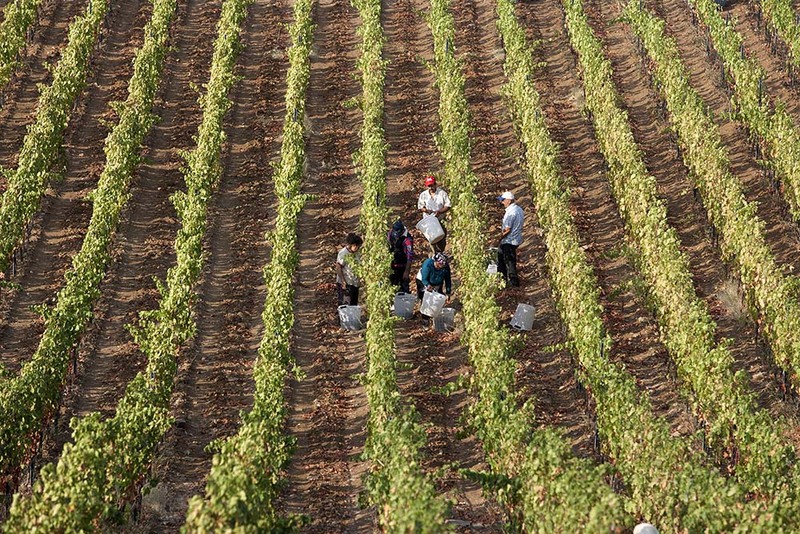 The Büyülübağ vinery has its own vineyard producing Cabernet Sauvignon, Merlot, Syrah, Chardonnay and Adakarası. Adakarası is the main indigenous grape variety to try. 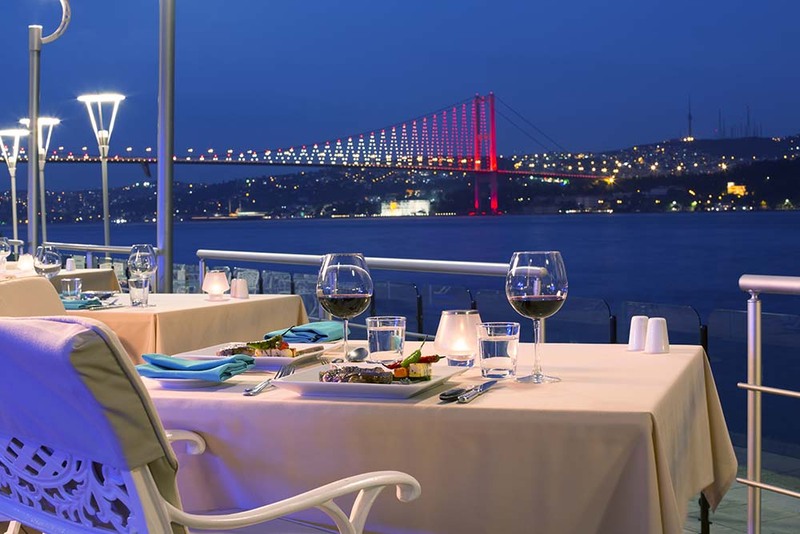 Romantic Empty Dinner Table Facing Beautiful Istanbul Bosphorus View. The final stop in our Thrace Route is Gallipoli, which is famous in some countries, because of Anzac Day. In 1915, during WWI, around 500,000 soldiers died from both Ottoman and Anzac battalions. Today, 25th April marks a memorial day for those who fell and grandchildren and relatives of soldiers from both sides pay their respects. The whole peninsula is so steeped in history, that it merits spending at least one full day there. Saros Bay, which was visited by Captain Jacques Cousteau may be of particular interest for scuba diving enthusiasts also. Troy, which is on the other side of the Dardanelles (Çanakkale) Strait, is unmissable for both history lovers and regular tourists. The richness of its past is also reflected in Gallipoli’s wines. 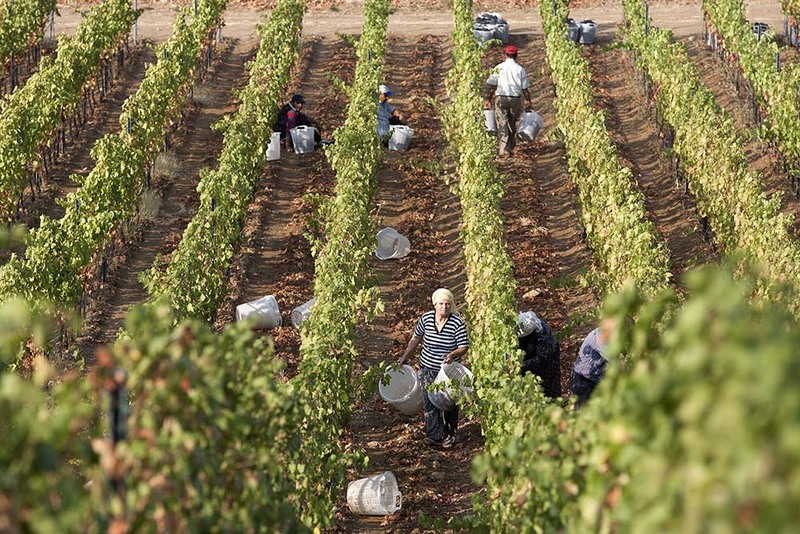 Cabernet Franc, Cabernet Sauvignon, Chardonnay, Grenache Noir, Karasakız, Kınalı Yapıncak, Marsanne, Merlot, Petite Verdot, Rosanne, Sauvignon Blanc, Syrah and Viognier are the most common grape varieties found in this area. The formerly mentioned Doluca also has another vineyard here, while Suvla and Gali vineyards are equally reachable. Doluca has an indigenous type of wine called Öküzgözü which is high in acidity and has a medium level of alcohol. The secret behind the Thrace Route perhaps lies in the existence of the North Marmara Fault Line. Volcanoes now rarely erupt there but ancient events ensure a rich and fertile soil; conditions which are perfect for grape cultivation. 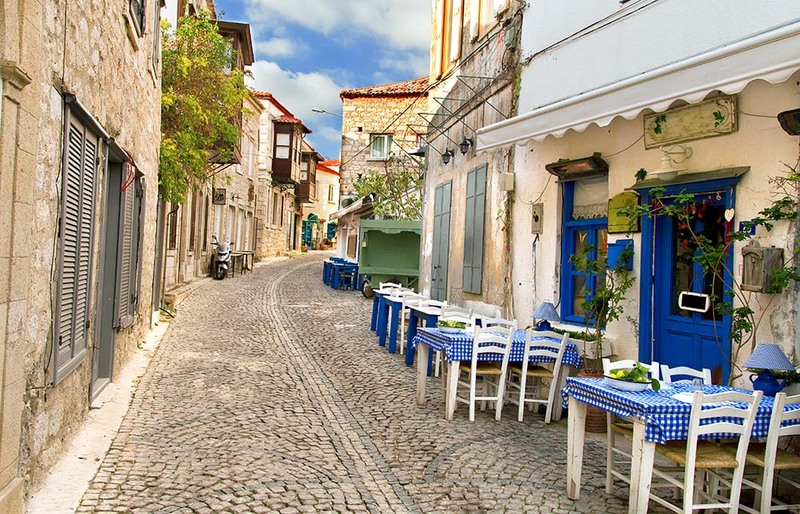 Alacati, well known for its architecture, vineyards and windmills is a popular summer tourist destination. Bozcaada is an island town off the western coast of Turkey. With its Greek style architecture, white houses and Mediterranean delicacies, it inspires visitors to discover more. The challenges of reaching the island ensure it is, for the most part, protected from the hordes of tourists who descend on Turkey during the summer months. However, people who have previously witnessed the sunset there often visit again, sometimes numerous times! The island is full of famous and private wineries, and winery-boutique hotels. It also hosts an annual wine-tasting festival celebrated along with several folkloric activities. Corvus and Çamlıbağ are the wine-makers here and they offer several award-winning selections. Karalahna is the main indigenous grape and it has a distinct, clear taste. Also Cabernet Sauvignon, Çavuş, Kuntra, Merlot, and Vasilaki are other varieties which are very popular. The next stop on the Aegean Route must be İzmir, which despite being the third largest city in Turkey, has a surprisingly slow, relaxed atmosphere. One hour’s drive on, Urla is a relatively new destination for top quality local wines. It is slightly undersold however, as despite being one of the world’s top-rated venues for local wines, it gets receives relatively little recognition. Evliya Çelebi does mention it, though, in her famous travelogue when she pays homage to the: “vineyards with 37 different grape varieties” that exist there. Along with its Cabernet Sauvignon, Merlot, Syrah and Chardonnay are also produced there. While visiting this area, you may want to make a stop in the nearby town of Seferihisar, (afore-mentioned Cittaslow) and also Şirince, a small town with old architecture and famous home-made fruit wines. After İzmir, a nearby city called Manisa, where Ottoman sultans were trained in their childhoods, is an attractive spot. The city is most famous for its Mesir Festival (mesir is a kind of spiced candy which is very healthy as it contains around 40 different spices together with a taste of honey) as well as for the famous Muradiye Mosque. This mosque dates back to the 16th century and also plays a central role in the Mesir Festival. One of the highlights each year is the point when people try to grab candies which are distributed from the roofs of the mosque! A nearby natural park, Spil Mountain and the ruins of ancient Philadelphia, one of the Seven Churches, are also in Manisa. Kavaklıdere has a vineyard that produces Öküzgözü and Boğazkere grape varieties. These are both award winning varieties made by this vineyard. 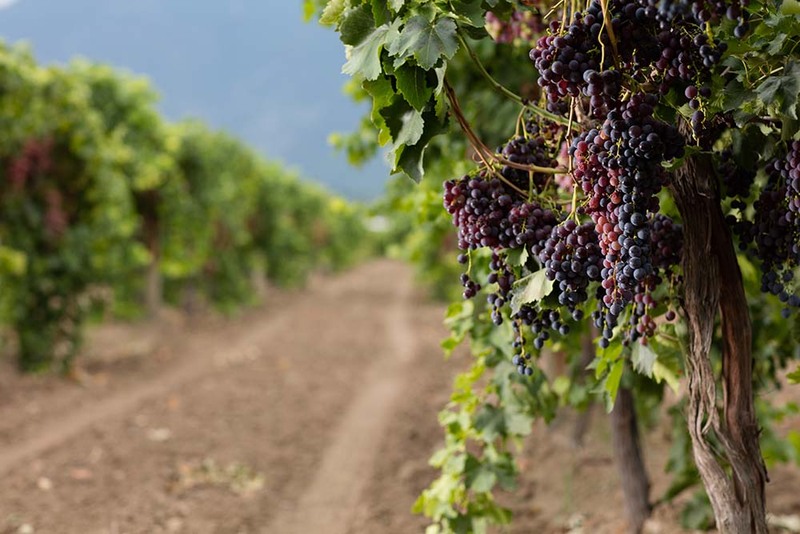 The region also produces Sultana, a local indigenous type of grape and other internationally known varieties like Cabernet Sauvignon, Chardonnay, Grenache, Merlot and Sauvignon Blanc. Going south, we will reach Denizli city, which is well known by tourists for its white travertines, situated in Pamukkale. This natural beauty also gave its name to one of the well known brands of wine, Pamukkale wines which are famous both in Turkey and abroad. 30 per cent of total production is exported to several countries and Boğazkere, Çalkarası, Kalecik Karası, and Sultaniye prevail as the local indigenous varieties. After Denizli, you can go to Elmalı, a town situated in Antalya. Elmalı is a small agricultural town and wine-making is an important part of the local income. A variety of local wines are produced like Boğazkere, Kalecik Karası and Öküzgözü. This small town, however, is not only famous for its wine but also for its trees. The trees in Elmalı are ancient and the oldest is said to date back around 2500 years. Other interesting places to visit in Antalya include the stunning Bey Mountains, and the ancient Roman ruins of Olympos. 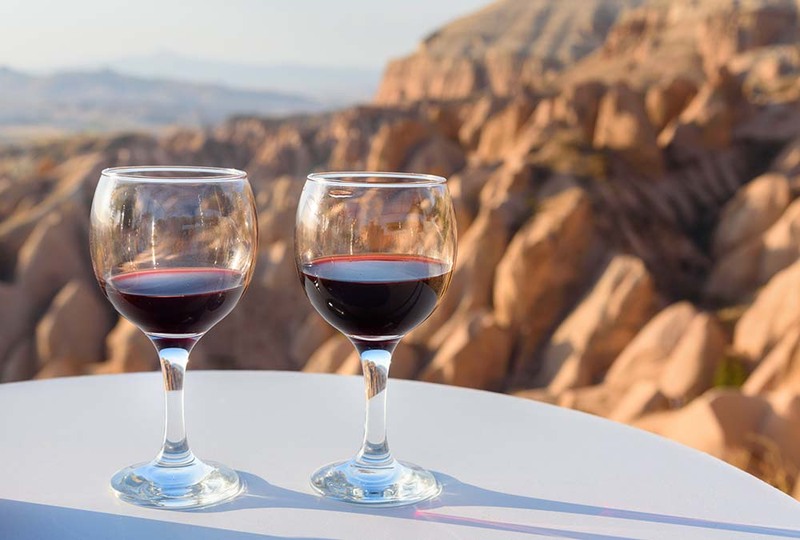 Red Wine glasses on Red valley background in Cappadocia. The Central Anatolia Route is the most diversified and interesting route, since the soil, climate and social structure change dramatically throughout the route. However, indulgence is guaranteed by those elaborate attributes. Ankara is the capital of Turkey, and is mainly comprised of public offices, which allocates it somewhere between “official” and “firm” culture. However, its generally well- organised manner does not prevent it from being home to one of the most popular local grape varieties, Kalecik Karası; strangely suited to Ankara’s harsh winters and hot summers. It is also one of the oldest places in Turkey, and indeed the world, that produces wine. Kavaklıdere also has a vineyard as well as locally named wines to try; “Dikmen”, “Kavaklıdere” and “Çankaya” which are all counties or towns in Ankara. While here, you should also visit Atatürk’s Moseleum and the Museum of Independence. Volcanic rock formations known as Fairy Chimneys in Cappadocia, Turkey. Even a tourist who has very limited knowledge of Turkey will surely have heard of Cappadocia “the land of beautiful horses”. 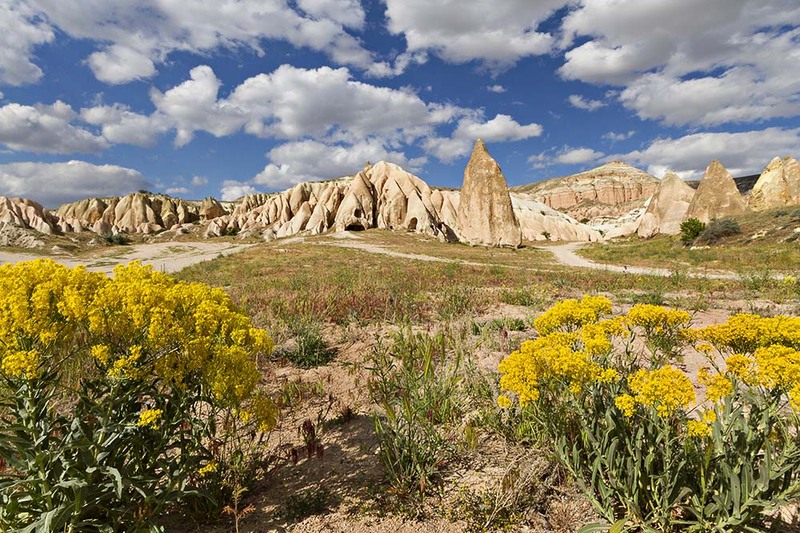 Visiting Cappadocia is like taking a trip into another world. Situated directly in the middle of the steppe, with its world-famous fairy chimneys, and cave houses, going here is like stepping back to ancient times. 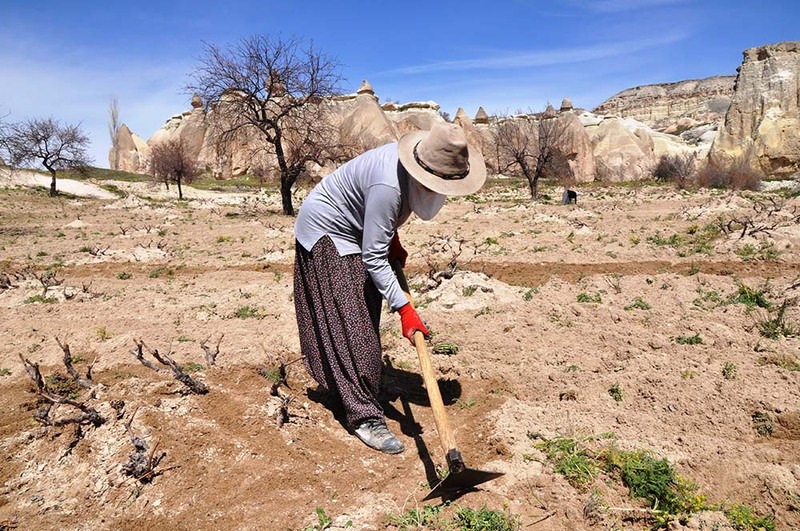 Geography is not the only ancient thing in Cappadocia though, as the local grape variety, Emir (ruler), is one of the oldest grapes in the world. It has been produced only in Cappadocia since ancient Roman times. Local wine companies like Turasan and Côtes d’Avanos have vineyards and hold bud-break sessions for tourists. Göreme National Park and its old cave houses are also a must when visiting this region. In addition, Kayseri is worth a visit. It’s just an hour’s drive from Cappadocia and is famous for its beautiful Erciyes Mountain, and Chardonnay grape variety. Women who works in the fields. 2015, cappadocia. Nevsehir. Turkey. After Cappadocia, Tokat is worth visiting with its wonderful nature and history. Cabernet Sauvignon, Merlot, and Shiraz are the main international varieties to try. While here, you can also visit the Ballıca Caves and try the local dish, Tokat Kebab. Malatya is the town where most of the world’s production of apricots takes place. It is a small city with a sound agricultural base also in local varieties of grapes such as Çavuş and Karalahna. Diyarbakır is a main stop on the Silk Road, with its historic importance recently recognized by UNESCO who named it a World Heritage Site. Since earlier times, it has been the center of trade and commercial routes of Mesopotamia. Here, Boğazkere is the main indigenous variety worth trying.